What Are Some Good Ways to Get Rid of Scars Naturally? Various surgical procedures are available for removing acne scars. Many people prefer to avoid surgery except in extreme cases because it’s expensive, it’s invasive, and it takes too long to heal. They prefer to get rid of their acne scars naturally if at all possible. If you are looking for natural remedies, you have a lot of choices. Many of the products you can use may be found in your kitchen and don’t require complicated preparation. Others are easily obtainable. 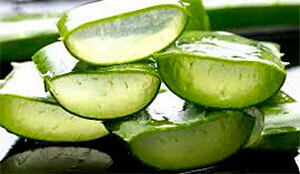 How Does Aloe Vera Help Acne Scars? What Are the Best Vitamins for Acne Scars? Acne can leave ugly scars. Because scars can be permanent, they’re often regarded as worse than the acne. Cosmetics can frequently cover small or shallow scars, but that’s only a temporary solution. 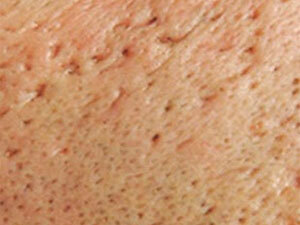 Most individuals want an acne scar treatment that will remove their scars permanently. There are three common kinds of acne scars: ice pick, boxcar, and rolling. The natural remedies for acne scars sometimes work better for one type of scar than others. Ice pick acne scars look like deep puncture wounds and can be the most difficult to remove. The best way to remove many scars naturally is to use a remedy that helps your skin generate new cells. 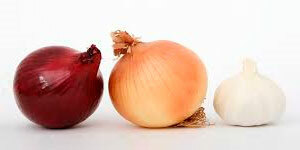 Onion juice to control the availability of the collagen that’s essential for skin growth. Massage the juice from an onion onto your scars. Let the juice remain on your skin for 15 minutes before washing off. 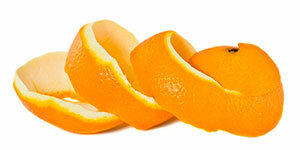 Orange peels to stimulate the growth of new skin cells as well as remove dead cells. They also lighten acne scars. Strip away the white insides from orange peels, then grind the peels into a paste. Use the paste as a mask. Leave the mask on until it dries, then rinse off with warm water. 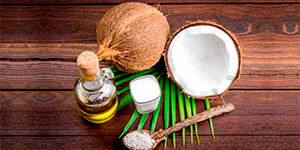 Coconut oil to moisturize your skin, which helps new skin form. Massage warm oil directly on your scars until it penetrates deep within. It doesn’t need to be washed off unless you’re uncomfortable leaving it on. Try to leave it on for at least 30 minutes before removing. If your skin is very sensitive, the onion juice or orange peels may be mixed with honey. Home remedies for acne scars are basically the same for facial scars as they are for other parts of your body. Masks are a good choice when you’re learning how to cure acne scars on your face. Many of them incorporate foods that you are used to eating, but you should always do a patch test first. The skin on your face is very sensitive and easy to irritate even when you don’t have any food allergies. 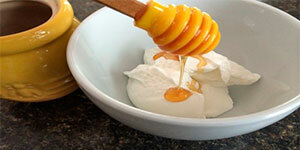 A mask made with plain yogurt and raw honey is gentle and effective. Mix together a tablespoon of each and pat it on your face in thin layers. Allow each layer to dry before adding the next. Leave on for about 15 minutes before rinsing off. Despite their fat content, avocados are good for your skin. 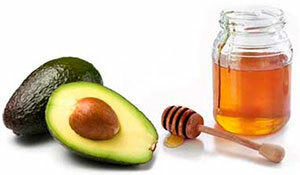 Peel an avocado and blend it with a tablespoon of raw honey until a paste is formed. Smooth the paste on your skin and let it dry for 15 – 20 minutes, then clean with warm water. Strawberries and honey are another combination your face will love. 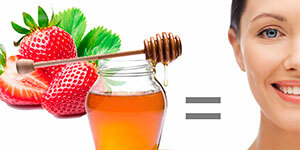 Clean three strawberries and mix them with two teaspoons of raw honey. Leave the mixture on your face for about 20 minutes before washing off. Masks like these will leave your skin soft and smooth, as well as providing anti-inflammatory and antibiotic properties. They stimulate the growth of healthy new skin, which helps to fade or remove existing scars. They also tighten pores to help prevent new scars from forming. As with everything else you apply to your face, use the purest ingredients you can find. Moisturize as needed after each. There isn’t much that aloe vera can’t do. It’s an astringent, antibacterial, anti-inflammatory, and antioxidant plant that’s been used for skin care for thousands of years. It contains all the nutrients needed for healing wounds, it stimulates the growth of new skin, and it reduces scarring. It will help lighten skin if you’re a victim of hyperpigmentation in addition to scarring. Aloe vera gel is a gentle moisturizer. All that, and it’s easy to obtain and use. Hyperpigmentation is the dark spot left after acne heals. You can buy an aloe vera plant anywhere plants are sold. All you have to do is cut off part of a leaf. A thick gel will seep from the cut. Dab the gel on your acne scar. As with most things you apply to your face, you can add a little bit of raw honey to the aloe gel. It can also be diluted with plain water if needed. You may leave the gel on overnight or for as long as you’re comfortable. Wash it off with warm water when you’re ready. Aloe vera can make your skin feel tighter, so apply a moisturizer afterward. If tending to a plant isn’t your thing, you can purchase aloe vera gel at most pharmacies and fine stores. If you’re buying aloe vera gel, be sure to read the labels carefully. Purchase organic if you can and select products with the least amount of additives. Our bodies require good nutrition, including vitamins, to keep functioning. It’s best to meet all your nutritional needs from the food you consume, but if you can’t, there are lots of supplements to choose from. If you have acne scars, there are three vitamins that you can apply directly on your scars to help remove them. These three are believed to help you grow new skin cells quickly. Healthy skin growth is the best acne scar treatment to fade or remove existing scars and prevent new ones. You are always advised to do a “patch test” when using a new product. A patch test checks your skin for sensitivity to a particular product. Experts recommend doing the test on the inside of your wrists or elbows, as the skin in these areas is very sensitive. Simply apply a small amount of the product, then wait. If you experience a reaction, such as itching, redness, or swelling, remove the product immediately and don’t use it. Otherwise, leave it in place for 48 hours. If there is no reaction, then the product is safe to use. Vitamin A is available in two forms: retinoids and carotenoids. If you take a supplement that contains beta-carotene, your body will convert it to retinol. Retinol is the kind that will heal your acne scars. 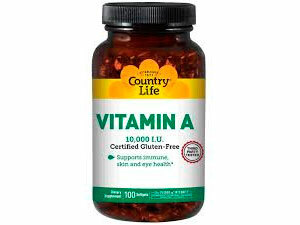 The easiest way to use it is to purchase Vitamin A capsules that include retinol. Break open a capsule and dab the oil on your scars to heal and rejuvenate your skin. You may also purchase acne scar cream and ointments that contain retinol. Buy the ones with the fewest added ingredients. 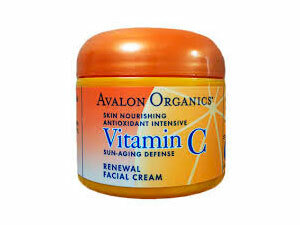 Vitamin C benefits your skin by rebuilding collagen and blood vessels. It’s also an excellent moisturizer that helps to fade and heal scars and reduce hyperpigmentation. It strengthens your immune system, which helps prevent infection and the resultant scarring. Vitamin C is available in dozens of foods. Various products that can be applied directly on your scar for faster healing are available at any pharmacy. 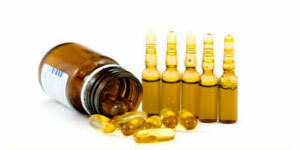 Be careful with Vitamin E, especially when consuming supplements or applying it to your skin. When it’s applied on your acne scars, it can soften the skin and increase blood circulation. Both of these will help your skin regenerate new tissue to replace the scars. While some individuals report positive results in applying Vitamin E directly on their acne scars, medical research has yielded inconclusive results. If you want to try Vitamin E on your scars, you must do a patch test first. It can cause a rash and worsen the scarring on some individuals. If Vitamin E is safe for you, you can pierce a capsule and dab the oil on your scar. It’s also available in a variety of ointments and acne scar creams. Many of the essential oils will promote healthy skin and help to remove acne scars. 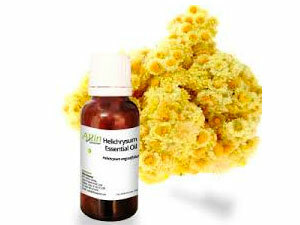 Individuals have generally had the most success with helichrysum, a member of the sunflower family. The oil is distilled from the flowers and has long been known for having superior healing properties. It can heal acne scars by stimulating the growth of new skin cells. If your skin isn’t sensitive, and if you’ve done a patch test, you may apply one or two drops of helichrysum directly on your scars twice a day. Otherwise, it must be diluted in a carrier oil such as jojoba. You can heal your acne scars naturally. There are home remedies for even the worst scars and the most sensitive skin. Patience is necessary, because while natural products are the safest to use on your skin, they do require time to make your acne scars disappear.